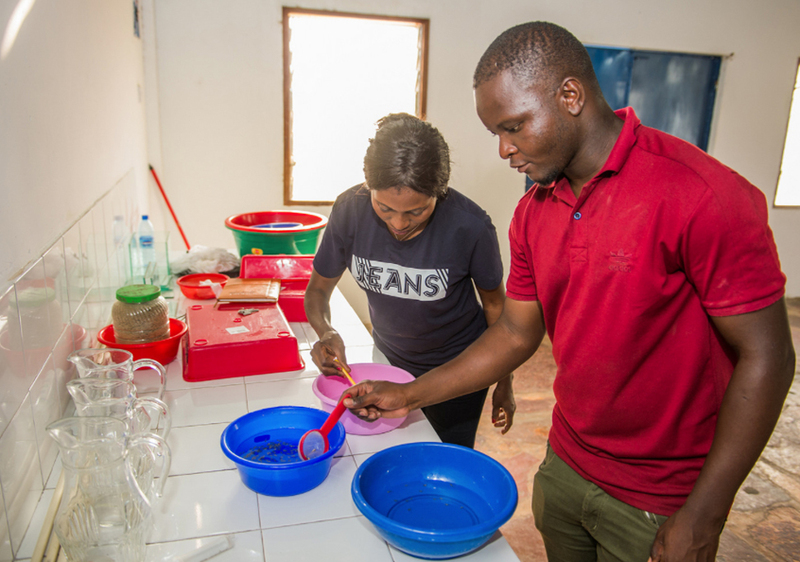 After a month of intensive, hands-on practical learning, 16 students from across Southern Africa completed the first Aquaculture Vocational Mentorship Course, held at the Lake Harvest company in Zimbabwe. Located on Lake Kariba, Lake Harvest is the largest aquaculture farm in Zimbabwe and one of the largest in the Southern African Development Community (SADC). The participating students were drawn from Zimbabwe, Tanzania, Zambia, Malawi, Namibia and Lesotho. Run by WorldFish, in collaboration with Chinhoyi University of Technology and Lake Harvest, the vocational course aims to promote aquaculture development in Africa by improving the practical application of university education, ensuring that graduates have sufficient practical experience to work on or run a fish farm after graduation. The mentorship course falls under the Phakisa Partnership. Operation Phakisa is an initiative of the South African government, which was designed to fast track the implementation of solutions to critical development issues including fisheries management. Improving the production of quality fingerlings, Zambia. Photo by Chosa Mweemba. 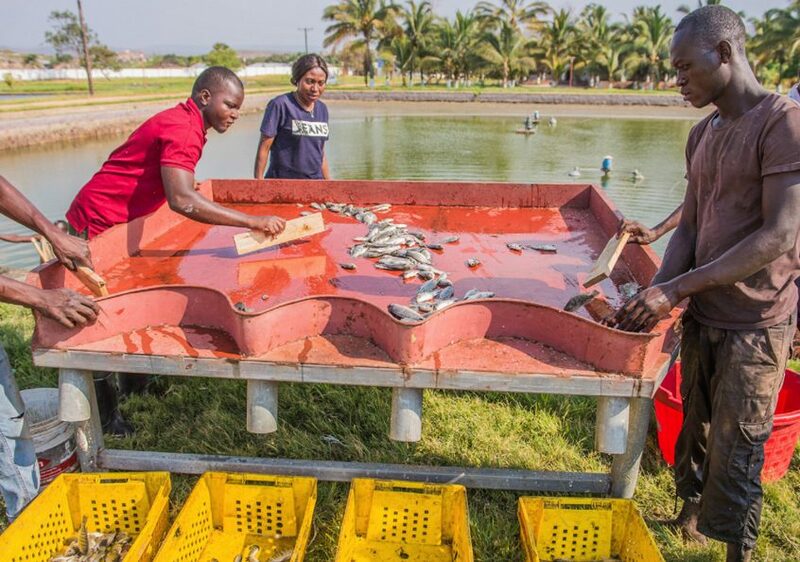 Increasing knowledge and aquaculture development in Africa is also the objective of WorldFish’s partnership with Great Lake Products (GLP) in Zambia’s Mpulungu district. GLP has been operating along Lake Tanganyika since the early 2000s. It has a total fish farming area of 4.96 hectares, and its production in 2016 was 886 kg/ha. However, over the years, the company has experienced a number of challenges, including poor brood stock management, inbreeding and crossbreeding, a poor diet and feeding regime, and a lack of qualified employees. To alleviate some of these challenges, WorldFish, with funding from Irish Aid, is working with GLP on brood stock replacement and genetic improvement, setting up a hatchery for enhanced fingerling production, formulating cost-effective, high-quality feeds, building staff capacity and improving farming and management systems. Thanks to this support, GLP has so far produced 251,235 quality fingerlings, which are available for own use, fish production and sale to local fish farmers. The impact of this model on small-scale fish farmers is starting to be felt. Not only do they have ready access to quality fish seed for the first time, they do not need to travel—as was previously the case—to buy fingerlings from a government-run production center hundreds of kilometers away, with clear efficiency and resource benefits. 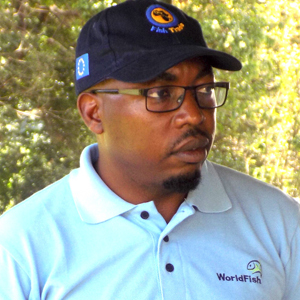 Idriss Ali Nassah is a Communications Officer based at the WorldFish office in Lusaka, Zambia. For the past two years, he has largely been working on the European Union-funded FishTrade for a Better Future project, led by WorldFish in partnership with the African Union Inter-Africa Bureau for Animal Resources (AU-IBAR) and the NEPAD Planning and Coordinating Agency (NPCA). The project was established to facilitate the development of intra-regional fish trade in Africa by undertaking research that informs crucial policy decisions.